My OUTLANDER Purgatory: Outlander Methadone: Where in the World is Roger Mac?? 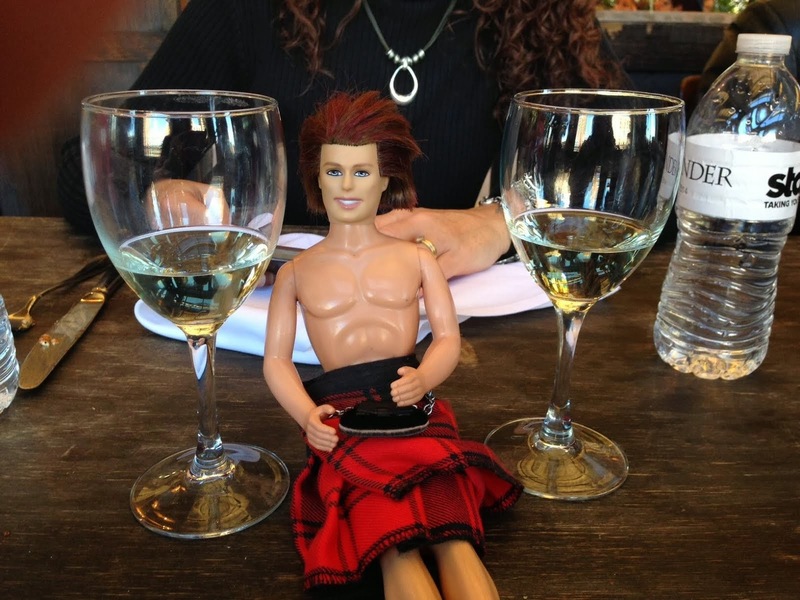 Outlander Methadone: Where in the World is Roger Mac?? Spoiler Alert: Dinna read unless you have read "A Leaf on the Wind of All Hallows" AND "An Echo in the Bone". I canna TELL you how much fun I'm having, reading "Green Darkness" by Anya Seton. I'm thinking Diana would definitely approve this for her Outlander Methadone List. Ursula felt only loneliness as they plodded miles without seeing a human, or even a shepherd's little stone cot. What houses there were had all turned gray and forbidding. There were no more luxurious inns - no accommodations except dearly bought garret floor space in farmstead. The language became incomprehensible, the food altered. Wow. You should have seen me when I got to this part. They're worried about being robbed and no one speaks anything remotely close to the "King's English" they're used to. And all I can think is THIS IS WHERE ROGER IS!!!! OK so let's review. This part of England is where Jerry was when he crashed...and when he walked through those standing stones, he time-traveled back to _____. And then Roger went through and was thinking of Jerry (just like the Stay Puft Marshmallow Man) and ended up there because of it. And speaking of standing stones... I'm reading about some right now on page 248 of the paperback. Check this out: They crossed the Eden by noon and continued North until they came suddenly upon a huge cluster of standing stones, many stones grouped by a huge pointed one, eighteen feet tall. This particular group of standing stones was referred to as "Long Meg and her Daughters" and it's really neat to read about online... so dinna forget to click that link! Interesting theory about the 16th century, btw. Who knows, you might be right! Carol, I recently converted a friend from work, and before Christmas break, I asked her how Outlander was going (she was smack dab in the middle of the prison scene with BJR). She came back the next day and told me that she was so worried about Jamie that she went on wikipedia to make sure that he stayed alive because she had no interest in reading the series if he wasn't in it! Oooh Karen!!! That makes me even MORE into my Methadone book! It's the whole mystical, centuries-old intrigue that makes it so juicy - and somewhat satiates you while waiting for Book 8 (or at least the Scottish Prisoner.) And I would be absolutely tickled if they were the same standing stones!! But I have to be straight up with everyone who hasn't read it: There is not a ton of romance. The feelings are there between two people - running deep in the background - but I'm halfway through the book and so far, nothing overwhelming. Be warned! OH Read the Book - just ASK Tracey about my reaction to page 1 of Dragonfly! I was like "He's DEAD?! I don't want to read one more page if he's DEAD!!" She pointed out that he's been dead since page 1 of Outlander - and that I should just chill and read. LOL!!! I just finished Book 3 in the Saxon Tales called, The Lords of the North, which takes place primarily along the English/Scottish border. It made me think about Outlander a lot, too! I think the 'hero' of these books may be Jamie's long-lost ancestor - he's wonderful, too. I laugh & gasp out loud at these books and I know I'm going to go through the shakes when I run out of them and have to wait until the next is published. I am reading "Winter Sea" on the new kindle I got for Christmas. It is very good and gives a lot of history about the first Jacobite uprising. This is definitely where I go for book recommendations. Someone on this site mentioned the book. I read "Green Darkness" in high school. I saved all of Anya Seton's books because I loved them so much. They are yellowed and tattered. I am doing a reread of "Voyager" per audiobook after reading the hard copy. It is amazing what you pick up the 2nd time. "Where in the world is Roger mac?" I got the idea that he went back to an earlier time than Claire went back to--they seemed verra primitive to me! forgot to say - I think your man would make a good Jared! OMG, I am deep into the unabridged audio book of Outlander, disc 10, which is day 2 of Jamie and Claire's marriage. Need I say more??? I just canna wait until book 8 is finished. DedaMc97, The Winter Sea is next on my pile for me..glad to hear it's a good one. I am so worried about Roger. If he is in another time, how is the world will he get back? I wish he could catch a break. I don't like that things always seem so difficult for him. I just watched the movie The Highlander (had to have my fix of men in kilts) Christopher Lambert and Sean Connery. Yum! The sword fighting, the highlands, the love...big sigh! What do you gals think of The Outlander Series-Overture from MyMerryMelodies? I love it! For those of you looking to hitch a ride on other novels while awaiting book #8 and, especially, for "adventures north" who can look forward to only two more novels in Bernard Cornwell's historic The Saxon Tales bundle of 5, you might wish to try Cornwell's 2010 release set during the American Revolution--"The Fort." "The Fort"'s book jacket even bears a comment by Diana G! Cornwell, another FAV of mine, weaves the story of an unnecessary loss to the Americans inflicted by a small force of British Scots infantry on New England's coast--based upon the real life incident which brought famed patriot Paul Revere a court-martial for disobedience and cowardice. Try it.....should be at your local public library as transplanted Brit Cornwell writes bestsellers published in the U.S. by Harper. Yay, thx Carla!! He's written so much stuff I didn't know what to pick up next, when I'm done with Uhtred (sniff sniff). I think he's just a fabulous storyteller, one of the best I've read. I take it The Fort is a stand-alone? How are his other series? I really love how you've made this connection between two completely separate novels! I wish I could remember more about Green Darkness, but I'm going to go look up "Long Meg" for sure. And I still haven't read the story about Roger's parents yet (can't explain why, especially since I'm a huge Roger Mac fan...)- I need to get on the ball!! Also, thanks to Carla for the suggestion of Bernard Cornwell's other novels, I'm actually headed to the library right now to pick up the first in his series about the Civil War. Yes, "The Fort" is a stand alone. You may wish to read another of his stand alones--"Agincourt" (2009), which is one of his best evers and very dense. If you check the pages preceding the official title page in each of Cornwell's books, you'll find all his titles issued up to that publication. They're all good reads! Among these are "Stonehenge" and "Redcoat".....relevant to "Outlander"? Also try William Dietrich's Ethan Gage series in this order: "Napoleon's Pyramids," "The Rosetta Key," "The Dakota Cipher," and "The Barbary Pirates." Enjoyable and all should be at your public library. Have not yet weighed in on this thread since I've been holed up with Harry Potter since the holidays--two books down, five to go. Thought the first one was better than the second, tho both were quick, enjoyable reads. Tracey, Bel Canto is one of my all time favorites. I love it so much! Let me know what you think of it when you finish it! It was a totally compulsive read for me, too. Ok -- so somehow I missed the whole "Leaf" was out, so a week ago I hightailed it to B & N. Got there when they opened first thing Sunday am. My intention was to buy the anthology. I only sat down and opened the book to see how many pages comprised "Leaf". Ended up reading the whole thing in less than an hour despite the "this is not a library look" from the sales girl who kept circling me.